The eighties throwback album has become unprecedentedly popular of late, with many artists in 2015 alone incorporating the decade’s mechanised synthetic sounds into their work, including Carly Rae Jepsen, CHVRCHES and Little Boots. 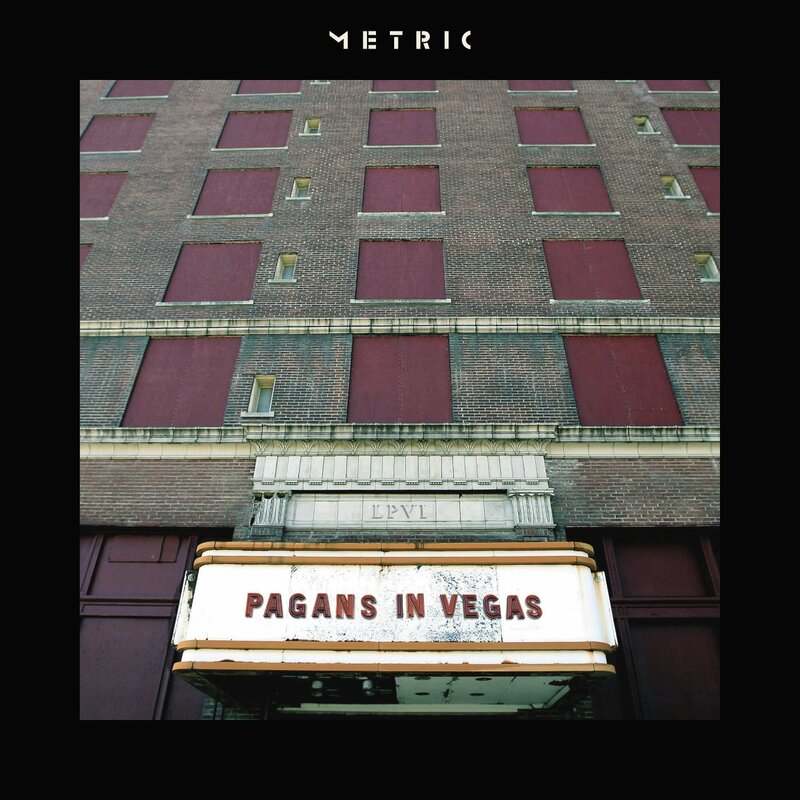 Metric has done the same with their sixth album, Pagans in Vegas, which not so much incorporates the eighties vibe rather than fully attempts to encapsulate that sound. While embracing the retro vibe sounds appealing (from artistic and marketing perspectives), Metric accidentally show us how it can indeed sound dated as opposed to trendy. ‘Cascade’, ‘The Shade’, and ‘Celebrate’ all suffer from this affliction, where the tracks sound more like pastiche eighties knock-offs than 2015 indie-pop slices with a retro twist. Hell, they even throw in some vocoder and harsh echo effects for good measure. To some, this might sound like a novel idea, allowing the acoustic instruments to intermingle with the mechanised synths. Unfortunately, Metric have somehow made this really rather dull. One problem seems to be that there is a distinct lack of emotional connection throughout the album. While this could be seen as perpetuating a cool vibe, it just comes across as lazy. When an album opens with the lines “If it happened it was meant to be/Offer me a free lobotomy”, it should really grab the listener’s attention. However, it comes across as a bit half-arsed, as if vocalist Emily Haines has undergone the psychological procedure herself and is unable to emotionally engage with her own track. This theme of emotional detachment permeates the album, even on the more upbeat tracks like ‘Too Bad, so Sad’, which are just begging for an energised vocal to elevate the mood. ‘Blind Valentine’ presents Metric at their most menacing – or at least their version of menacing. Having a concept which relies upon emotionally detached vocals and retro saw-tooth synths causes their distinctive, new-wave indie sound to become diluted, vague and indistinguishable from countless other groups. Despite these gripes, there are some promising moments throughout the album. ‘Fortunes’ delicately displays how to straddle 21st century balladry and industrial electro-pop, and ‘For Kicks’ gives us a great Debby Harry-style chorus (which is never a bad thing). But these flashes of brilliance are muted by the album’s overall lack of distinction. While I have stated that the general sound is a bit boring and unoriginal, it is interesting how cohesive the album is: each track does sound like a part of a larger musical jigsaw that, when put together, forms Pagans in Vegas. One problem is that, while the pieces fit together well, they are uninteresting when viewed separately. This is cemented by the final two tracks which craft a bittersweet conclusion to this mixed bag of an album. ‘The Face’ is a purely instrumental venture which includes generic band textures, Fur Elise played on an electronic organ and a poignantly understated closing chordal synthesiser. These two tracks form a simple summation of the album… in that the moments of compositional excellence and emotional poignancy are greatly outnumbered by the number of forgettable, wasted opportunities.